I'm trying to clear out as much as I can. Everything is now half off. This is while supplies last. It will be deducted after your order ships. This ends Tuesday at 3PM (New York). This doesn't apply to orders which were placed before today (Monday). 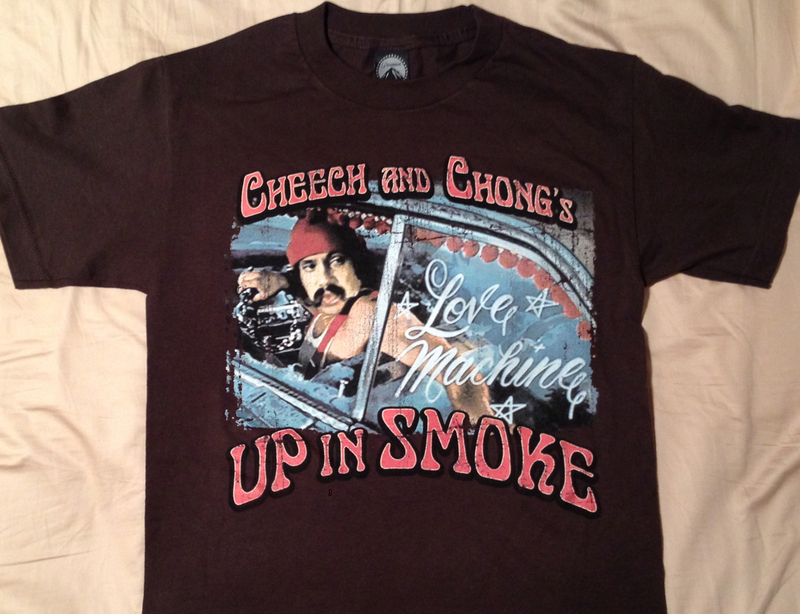 I'm trying to clear out some Cheech and Chong shirts. All shirts are 1/2 off. 1/2 off will be refunded after your order ships. While supplies last. Offer ends 11:59PM EST on November 30th. The Arizona Daily Star interviewed Tommy Chong and his wife, Shelby, who were promoting their upcoming show at the Desert Diamond Casino. When asked about Cheech and Tommy, Shelby said "They're old and they're crabby, what can I say?" Then, Tommy interrupted her, "But we're rich." Tommy went on to say, "It's fun on the road, but it's more fun not being on the road. I don't know what goes faster, your life when you're working or your life when you're not working. It goes by pretty fast." I wanted to thank everyone for their support. I've received thousands of emails from disgusted fans, reacting to the video I posted this morning. Many had their own personal stories to share. Read the comments on youtube. They are very interesting. By the way, one of the comments was left by ToughJewdotcom. ToughJewdotcom is Matthew Sugarman of wwllp.com….He's one of Cheech and Chong's many attorneys. I found out who owned toughjew.com by going to networksolutions.com, clicking on "whois," entering "toughjew.com." It's right there in black and white. "You've only heard Ryan's side of the story not Ceech and Tommy's. Please keep that in mind. I know for a fact that Ryan was offered a very generous deal for the purchase of the website, but turned it down. ONLY when Ryan turned down the offer (that was reached after﻿ MONTHS of negotitations) did Cheech and Tommy file the case to have the domain name taken away from Ryan. This could have worked out much much better for Ryan had he not been so greedy." Yeah, he "knows for a fact" because he's one of the orchestraters. There was nothing generous at all about any of the proposals. You can read all the udrp legal docs if you want. I'm all about freedom of information. **Update: Their attorney, Matt Sugarman aka youtube's ToughJewdotcom, deleted his comment and account. He posted his comment under his new screen name, davesnothereman22. Cheech and Chong recently won cheechandchong.com from Ryan Tracy. 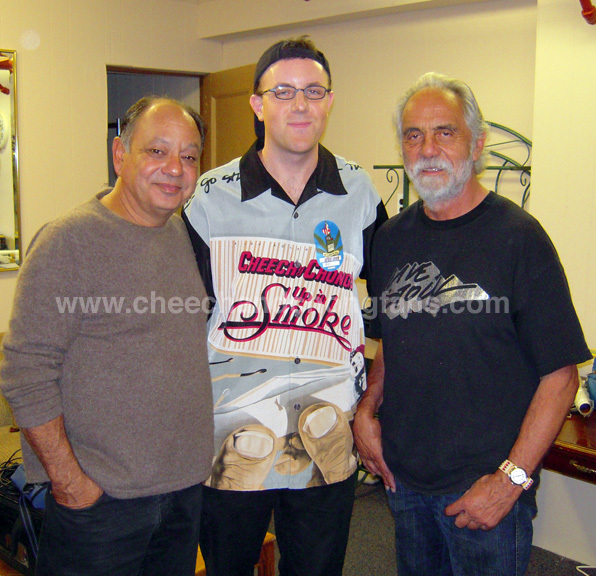 Ryan Tracy, Mr Weedmaster, has owned and operated the site, with Cheech Marin and Tommy Chong's blessing, since 1998. Only after reuniting, did they pursue gaining ownership of the domain. Rather than working out a deal, they bullied him. Ultimately, they opened a domain dispute with UDRP and won, leaving it's former owner high and dry. 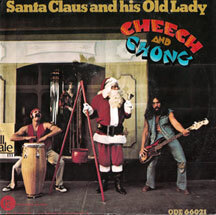 On December 1st, ownership of cheechandchong.com will be transferred to Cheech and Chong. Ryan Tracy will move the site to www.cheechandchongfans.com. In this video, Ryan, explains some of the details of the bullying by Cheech and Chong's lawyers, agents and managers. These legal documents provide additional insight into the ordeal including personal emails. Email addresses have been blacked out for privacy reasons. If you have any additional questions, email goodbye@cheechandchong.com. This email address will be active until December 1. These photos were taken at the The I Chong: Meditations from the Joint book tour and the first date of the Cheech and Chong: Light Up America tour, in Philly, respectively. Video of Cheech and Chong the Fox Business channel earlier this week. They revealed that they will be playing the Beacon Theatre in New York City next year. Tickets to most of the announced Cheech and Chong: Get It Legal tour shows went on sale today at 4:20 local time. Click on the links on top of this page. Last night, Cheech and Chong was on Fox New Channel's The O'Reilly Factor. Sorry, the 30% off sale has ended, but we've got some other great things for you. FREE LET'S MAKE A NEW D@PE DEAL CD or SLEEPING BEAUTY with every order of $100 or more ($10.99 value). 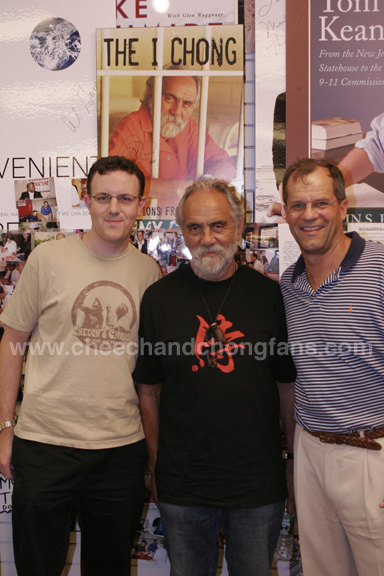 FREE A/K/A TOMMY CHONG DVD (in the special sm@keable wrapper) with every order of $200 or more ($16.99 value). FREE KEYCHAIN with every order no matter how big or small your order. Note: One free CD or DVD per address. While supplies last. For orders over $200, you do not receive the CD, you only receive the DVD. Offer expires Saturday, December 19h at 12PM New York. Cheech and Chong were on Late Night with Jimmy Fallon last night. Cheech and Chong spoke to ABC news about their 'Get It Legal' tour. They said the tour is completely revamped with more music and comedy bits. Cheech's son, Joey, is the DJ for the show. They plan on doing 50 or 60 shows. 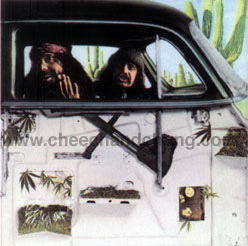 We have a very limited supply of the hard-to-find, out-of-print Cheech and Chong CD, Los Cochinos, back in stock. They are sealed, but the casing has a crack in it. Cheech and Chong have been doing a media tour in NYC this week and last promoting their Get It Legal tour. They will be on tonight's edition of Late Night with Jimmy Fallon on NBC (12:30AM New York). Today, Cheech and Chong were on Geraldo at Large to talk about the legalization of pot and the second leg of their tour, Cheech and Chong: Get It Legal. Today is US District Attorney, Mary Beth Buchanan's, last day in office. She says the only thing she regrets is taking a plea from Tommy Chong. LOS ANGELES, Nov. 16 /PRNewswire/ -- Comedy visionaries Cheech Marin and Tommy Chong announce their 2010 North American Tour, Cheech & Chong: Get It Legal, partnering with the Marijuana Policy Project (MPP) to promote policy change through laughter. The Live Nation-produced tour will kick off on January 16, 2010 in Boulder, Colorado at the Macky Auditorium. Tickets for this must-see comedy tour of the year go on sale in select markets beginning at 4:20 p.m. on November 20, 2009 at LiveNation.com. Cheech & Chong: Get It Legal is the follow-up to their hugely successful reunion tour, Cheech & Chong: Light Up America, where they performed together for the first time in over 25 years. The pop culture duo performed for more than 100 audiences and quickly became one of the most sought after shows of 2008-2009. Additionally, their performance in San Antonio, Texas was filmed by the Weinstein Company and will be released as Cheech and Chong's: Hey Watch This on 4/20 of next year. "We had an amazing time last year reconnecting with each other and our fans in a way that felt like it was part of our DNA, we were meant to be together," said Cheech Marin. "In 2010 we are looking forward to doing more classic material that people haven't seen for years and years, performing more of our songs and introducing some new bits. We've had material brewing separately for the past 25 years," said Tommy Chong. The Cheech & Chong: Get It Legal tour is scheduled to make 17 stops across North America including Boulder, Indianapolis, Baltimore, Bellingham, Portland, Santa Barbara, Tampa, Minneapolis, Rockford, Detroit, Louisville, DC, Bakersfield, Phoenix, and Fort Worth with Canadian stops in Regina, and Saskatoon. Additional dates to be announced soon. Chong's wife and comedy partner, Shelby Chong, will open all dates on the tour as well as DJ-Joey Mojo. Successful beyond their wildest dreams, Richard "Cheech" Marin and Tommy Chong defined an era with their hilariously irreverent, satirical, counter-culture, no-holds-barred comedy routines. Together, they represent a lifestyle and are the originators of the "stoner film" as a genre. Their phenomenal success included nine hit comedy albums and eight hit films, breaking box office records, shattering comedy album sales, garnering multiple Grammy nominations and mesmerizing fans for more than a decade. Because of the recent attention surrounding the laws in respect to marijuana, Cheech and Chong decided to name their upcoming tour "Get It Legal" in order to raise awareness for this important topic. By teaming up with a marijuana policy reform group such as MPP, Cheech and Chong are fusing comedy and activism as a means of bringing attention to the harm caused by marijuana prohibition and the urgent need for different, more sensible marijuana laws. "Want to make a change? Come to a Cheech and Chong show," says Tommy Chong. "It's time to get it legal, before it's too late." Tickets go on sale November 20 @ 4:20 local time via Live Nation link at the top of this page. Cheech and Chong grossed $12 million on their 2008-09 Light Up America reunion tour. Complete list of tour dates to be announced this week. 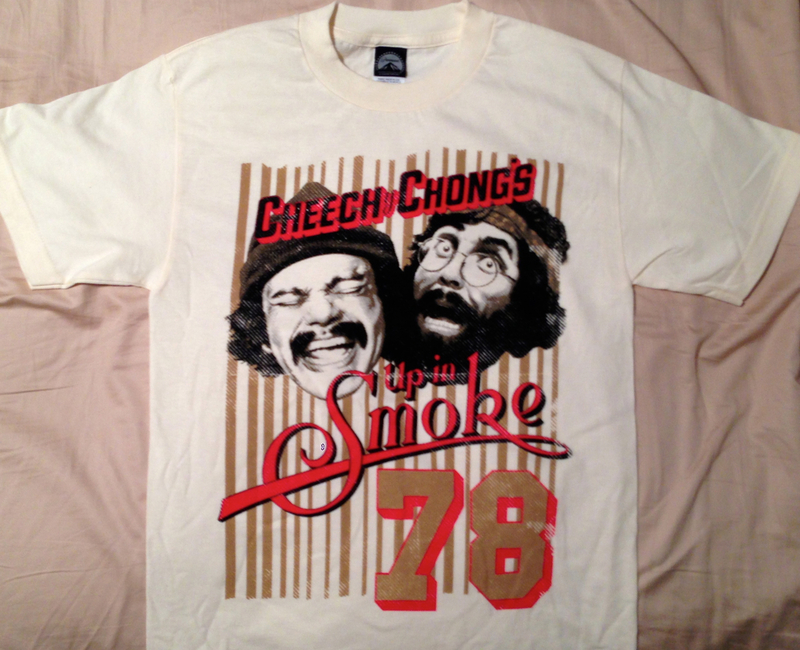 The Cheech and Chong holiday sale has been extended thru Wednesday. All Cheech and Chong items are 30% off. The 30% will be refunded after your order ships. This is while supplies last. Discount does not apply to shipping and handling. Be sure to pick up the double CD, Where There's Sm*ke, There's Cheech and Chong. It contains two essential, hilarious holiday trax, Santa Claus and His Old Lady, and Moe Money (featuring Rudolph). "Santa Claus is not a musician, Man." In Clarence Clemons new book, Big Man: Real Life & Tall Tales , Clarence recalls Bruce Springsteen and the East Street Band first gig. They opened for Cheech & Chong. HOLIDAY SALES HAVE BEGUN! Everything 30% off. We decided to start the holiday sale early this year. All Cheech and Chong items are 30% off. The 30% will be refunded after your order ships.